The doctors at the Hansa Center are presently working with genetic laboratories to determine if the treatments can be documented scientifically through treatment and repeat analysis of the classical genetic testing methods. The idea is to affect the structure and function of the body's SNPs by targeting know mutations, such as MTHFR, through bioenergetically modifying the signals being transmitted biophotonically from the heart to these genetic switches. Some doctors will say, "All you have to do is treat the whole person, think nice thoughts, take this or that protocol of supplements, just do their version of energy medicine or machine." I guarantee you, none of these holistic approaches have resulted in one change to the actual SNP mutations. Others will say, I am only treating the SNPs and missing the whole person. Hear me now...if a mutation is to be repaired at all it will require a new and fundamental shift in how the entire person is treated. No one knows yet how long this takes to get the switches to flip, or exactly how to affect the structure and function of the body in a consistent way, since everyone comes with their own unique "software" and their own and family history of traumas, and illness. *Note: I recommend the Nutrigenomic Methylation Pathway Analysis to test for mutations in your metabolic and detox pathways. 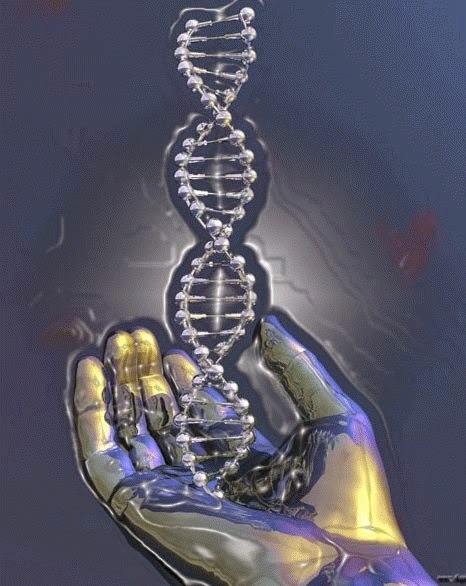 (The following link is the test I recommend: http://www.holisticheal.com/health-tests/nutrigenomic-testing The results of this report will come with more detailed health information with your DNA test than the 23&me test. Wow. Of course you're not stuck with your genetics. Most patients on the lyme and ME/CFS forums know this, that it's an issue of genetic expression, and not some sort of defect. Agree wholeheartedly with Robin here. With the gift and hope that Epigenetics offers, the switch is being flipped for many with a change in lifestyle as a whole. No one thing can help in isolation. It took a lot of damage for us all to get to where we are so it will take a while to reverse this damage. Be aware that the 23andMe test furnishes people with 600,000 SNPs in their results for just $99 while the one you mention only gives results for on 40 of those SNPs for $400 AND recommendations to buy thousands MORE dollars in supplements WITHOUT a consult with a Dr! Addressing these issues will cost thousands no doubt. Why would I start spending it without the guarantee that a Dr will supervise my treatment? Right now, the test you suggest offers a chat group for $400 while 23andMe does exactly the same for $99. Now that I know you consider genetics as a factor, I'd really like to see someone at your center Dr Hansa so this post was very encouraging.